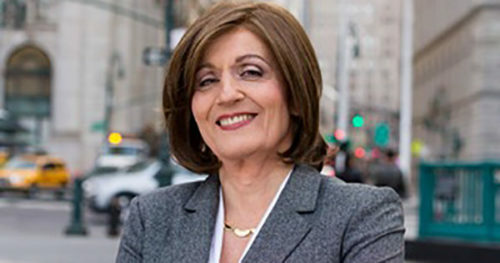 Will Hillary’s hometown choose this woman to be NY’s 1st elected trans official? Kristen Browde stepped up to a microphone at a news conference in New Castle, N.Y., Wednesday, and announced her candidacy for town supervisor. But what seems on the surface to be small town, yokel local news, is actually another bold step by transgender Americans to be visible. Browde came out in 2016, following an award-winning career as a television reporter for CBS News and WNBC-TV, among other outlets, and is currently a successful divorce and family law attorney in private practice, as well as a parent. 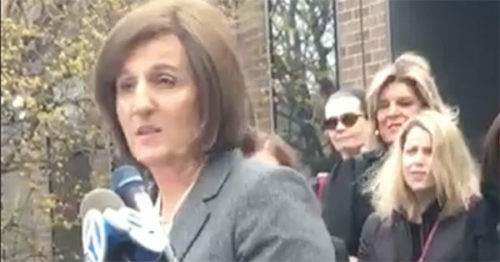 “When it comes to change and managing a change, that’s something I know a little bit about,” Browde told reporters and supporters who had come out to cheer her and two other women running for office of the New York City suburb. New Castle includes the hamlet of Chappaqua, where Browde lives, as do her high-profile neighbors, Hillary and Bill Clinton, as well as Gov. Andrew Cuomo and his girlfriend, Sandra Lee. That star factor, and the historic potential of Browde’s run, drew a fair number of her former colleagues from Westchester County and Manhattan. She’s already the first trans candidate in New York State since to run for a town office with the nomination of a major party, and if she wins, she’d be the first transgender official elected in the state. 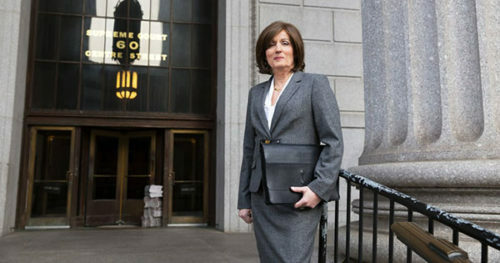 In 1999, Melissa Sklarz was elected as a delegate to the Democratic Party’s Manhattan Judicial Convention, becoming the first transgender person elected in New York City, according to The New York Times. “How big a motivating factor was the national election? This is Hillary’s hometown,” asked Lou Young of WCBS-TV, as seen on Facebook Live. “I won’t be the candidate endorsing right-wing Republicans up and down the ticket,” she responded. Most media reports deadnamed Browde, for no apparent legitimate reason, with the exception of a local website, Patch. 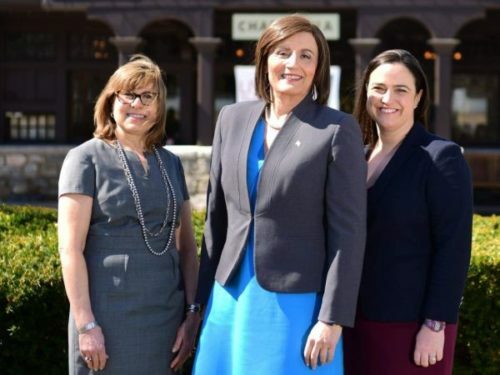 Although newspaper writers labeled her a “transgender trailblazer,” Browde was quick to note she’s not running as a transgender candidate, but a candidate who happens to be trans. “People say, why can’t you just be quiet and blend into society and nobody’s going to know that you’re trans and that’s probably true,” she told another reporter. Then she shared a lesson she learned from a 32-year-old transgender activist from Harlem, Hannah Simpson. EDITOR’S NOTE: The original report did not cite the achievement of Melissa Sklarz in becoming the first transgender person to be elected as a convention delegate in New York City in 1999. This article has been updated to include that victory, and we regret the omission.